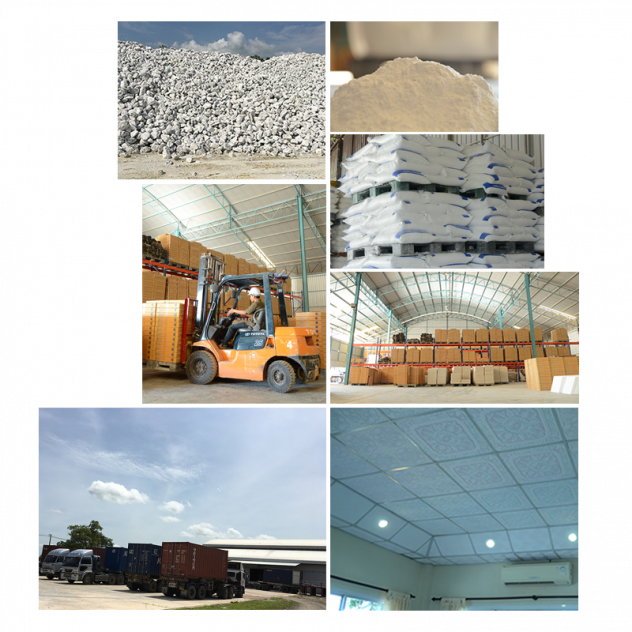 In 1991, 3 years after the successful operations of the Gypsum Powder production plant , Victory Gypsum officially introduced to the world market its first unique ready to use gypsum tiles T-bar type, “Fiber reinforced Gypsum ceiling tiles with molded designs”, the result of delicate sculpturing of the molds. They are called Millennium Board by VGB. With the belief that ceiling is in fact an important ingredient of the home or office owners’ official statement of who they are, Millennium Board comes in many different molded designs. From the plain white designs in the early years to many other designs and colors today.